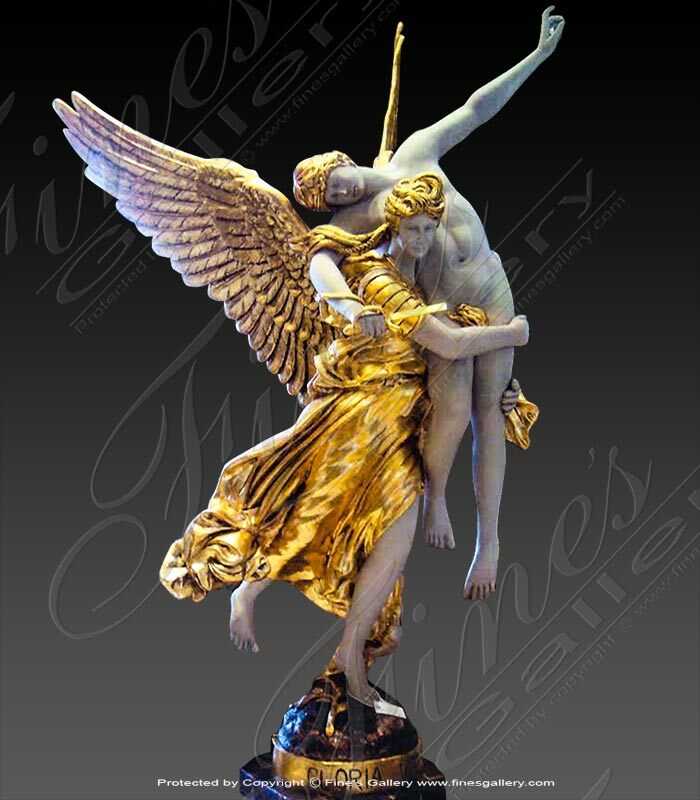 Sculpted from an assortment of colorful bronze finishes, this beautiful statue represents the Roman goddess of justice. 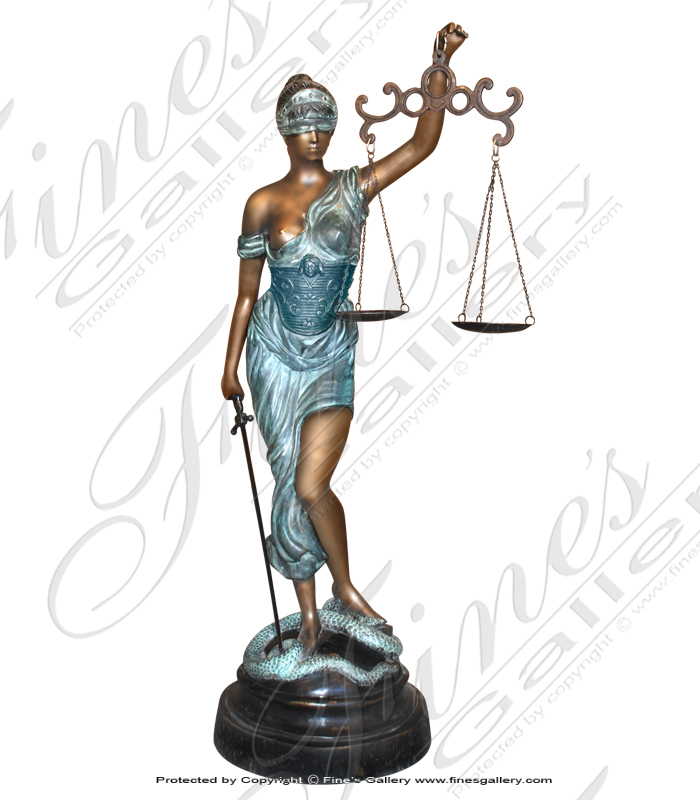 Lady Justice holds a sword, a balanced scale, and is blindfolded to show her power, fairness, and lack of prejudice. 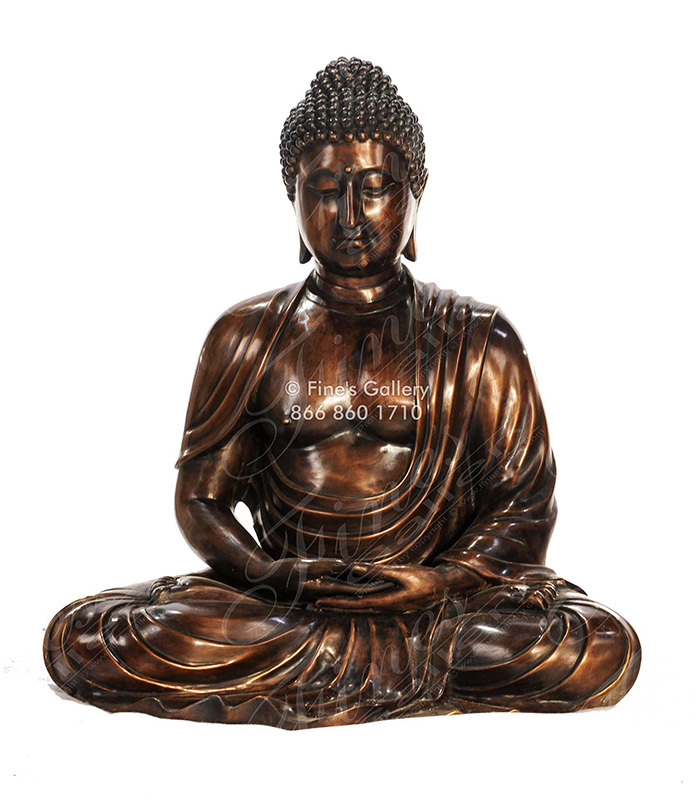 Sculpted from gold bronze, this beautiful statue can be customized in the scale you need. 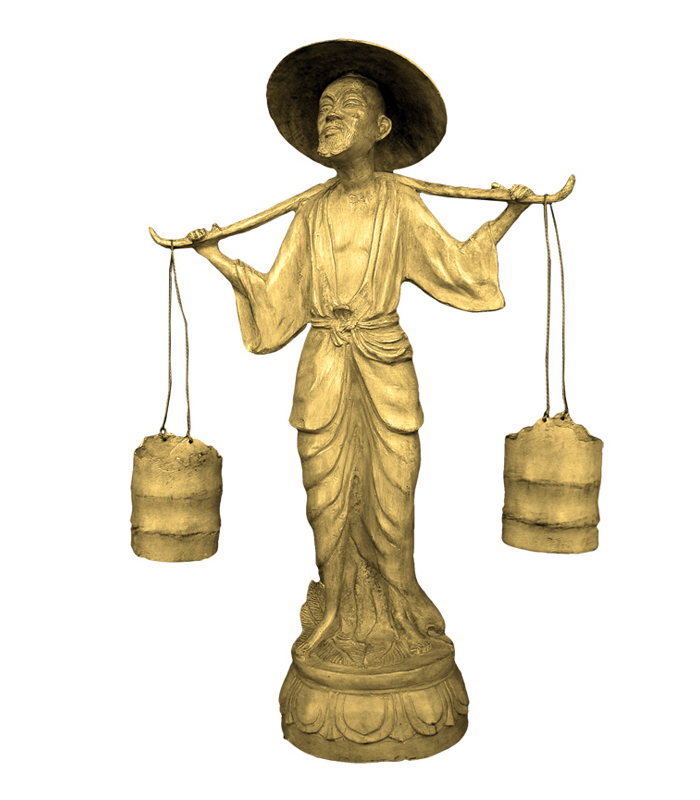 Smiling as he carries two buckets of water, the realistic beauty of this Asian man will make this a cherished piece of artwork to add to your surroundings. 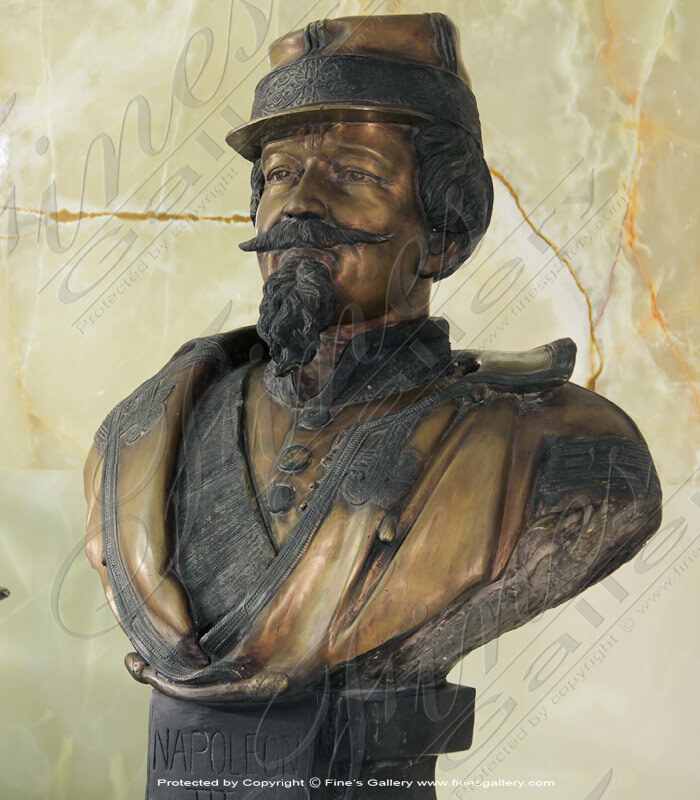 Gloria Victis Bronze Statue included with black marble base. Beautiful marble & bronze pedestals are available through Fines Gallerys exclusive online collection or visit our mega showroom in South Florida. 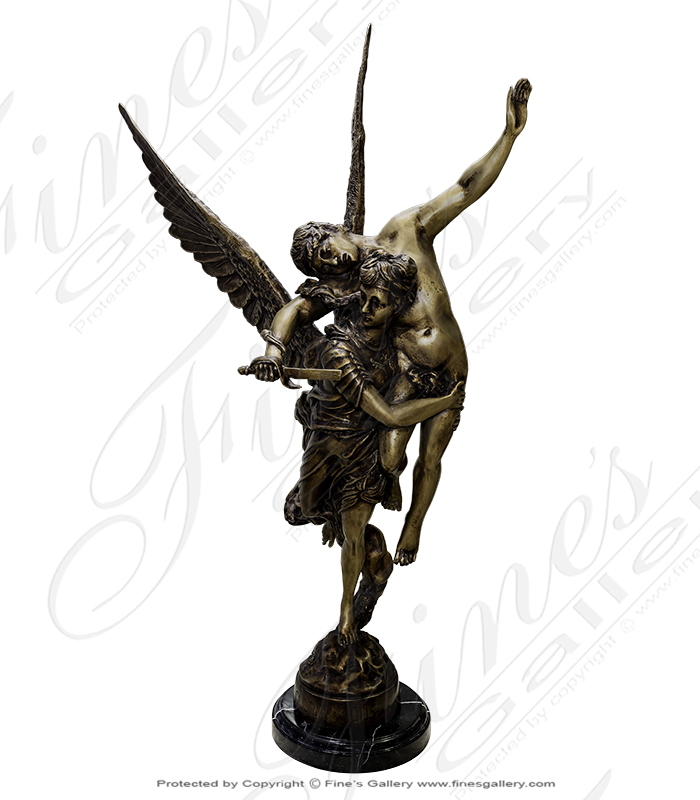 9 Feet Gloria Victis in high quality bronze available in classic finish as shown or call to ask about optional finishes. 110 inches in total height! 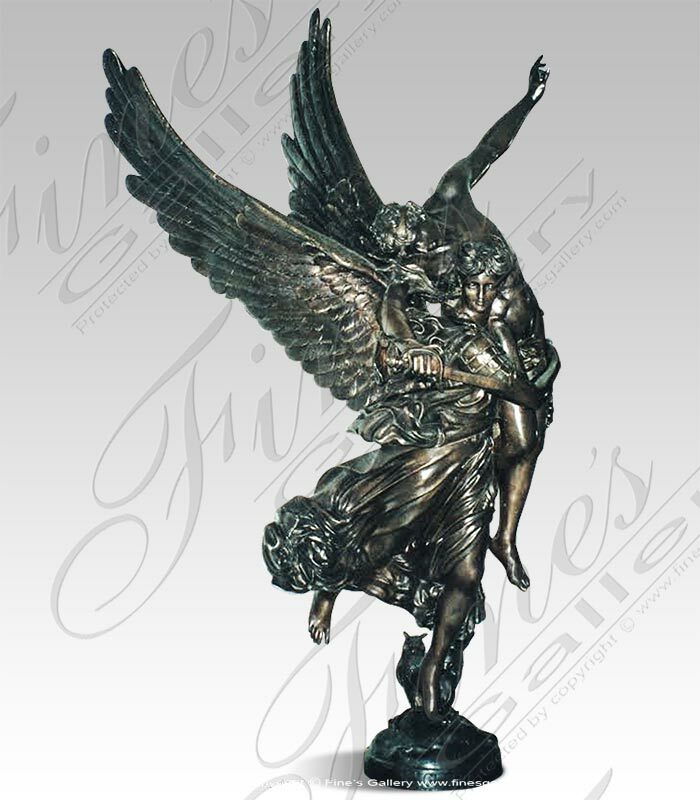 Gloria Victis 55 Inch( Shown in Cast Stone ) Available in Bronze.